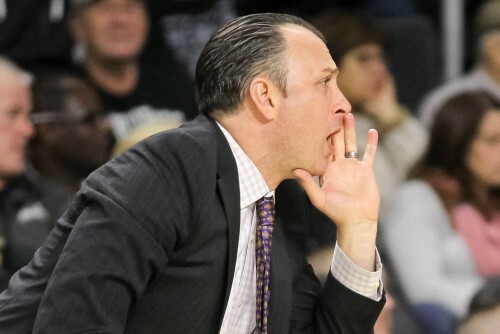 Siena Basketball alumnus Carmen Maciariello '01 has been named the 18th head coach in Siena Men's Basketball history. The native of nearby Clifton Park, New York recently completed his first season as an assistant coach in his second stint on the Siena Basketball staff. When you head off to college, you’ll obviously be spending most of your time on campus. But if you’re looking at schools that are situated somewhere that makes venturing off campus easy and exciting, it’s a smart idea to devote at least a few hours to exploring the neighboring towns. The Maddalone Wall provides a highly visible platform to honor Siena graduates who have launched their own successful businesses, and to inspire current students who have entrepreneurial plans, according to Michael J. Hickey ’83, executive director of the Stack Center. 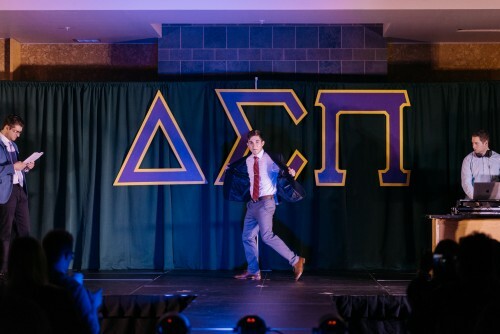 A pair of brothers and their (real, actual) charms nabbed the top spot at Siena’s fall 2018 Spark Tank competition. The G.O.L.D (Graduates of the Last Decade) Standard Award annually recognizes five young alumni for extraordinary achievements. Award recipients distinguish themselves through professional success, service to the community and/or engagement with Siena College. James J. 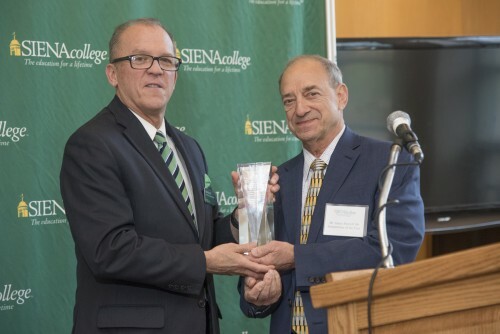 "Jim" Morrell ’66 has been named the 2019 Entrepreneur of the Year by Siena College. The award is presented annually to a Siena graduate who has excelled as an entrepreneur, positively impacted the community, and is driven by the entrepreneurial spirit and Franciscan values of the College. 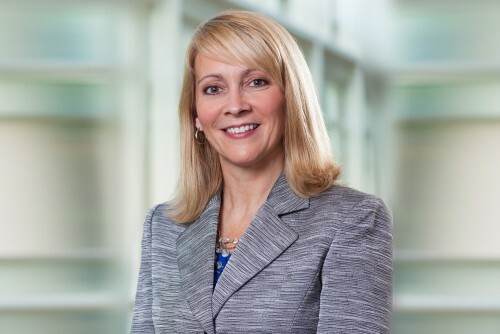 A Siena marketing alumna who rose to become a top executive with UPS will be the featured speaker at the College’s 79th annual Commencement on Sunday, May 12 at the Times Union Center. 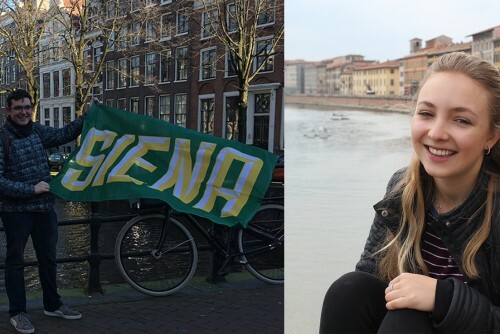 Siena College seniors, Thomas Ruhl ’19 and Samantha Lore ’19 have been selected for the 2018-2019 Fulbright U.S. Program. This prestigious program offers our Saints the opportunities to research, study, and teach in over 140 foreign countries. 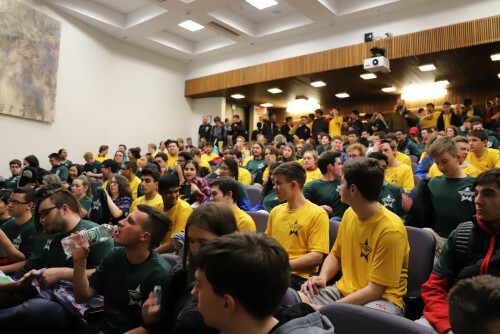 It was the largest field ever at Siena’s 32nd annual High School Computer Programming Contest. If you’re at all intrigued by the entrepreneurship program at Siena College and are eager to learn more, stay right here. 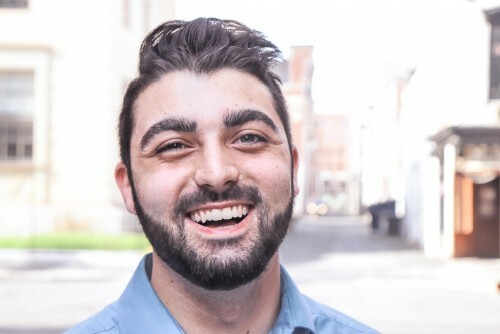 We caught up with Siena graduate Kevin Danaher, who majored in computer science and minored in entrepreneurship, to talk about the entrepreneurship program, dancing, Siena and more. During his time here, he actually created a business directly tied to one of his passions—and is still working on mobile apps to this day. Check it out. When Siena promises an education for a lifetime they are not just talking about the degree Saints leave with- it means so much more. You dream up the idea. You call the shots. You reap the benefits. If you love the thought of running or creating your own business one day, you’re in good company. The hustle to become a successful entrepreneur is real and widespread (ever seen Shark Tank?! ), but there’s always room for more. In fact, at Siena College, entrepreneurship is one of our most popular programs, and for good reason. 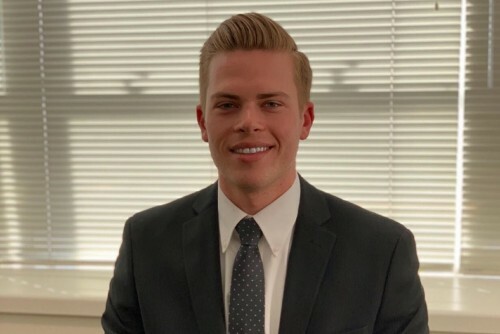 Take it from Nick Earl, who graduated from Siena in May 2018 with a major in marketing and a minor in innovation and entrepreneurship. Here’s what he said about his experience in Siena’s entrepreneurship program and more. A duo from Siena recently took part in a United Nations conference, carrying their campus work on women’s rights issues to the epicenter of world diplomacy. 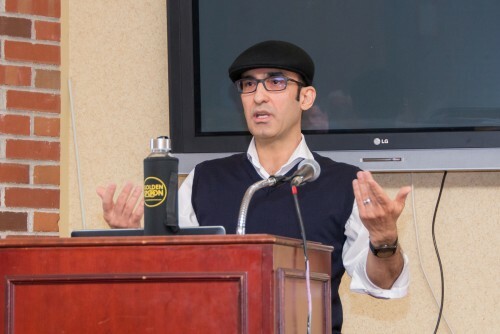 Imprisoned in the past for speaking out about his political beliefs, Saladdin Ahmed, Ph.D. has found a temporary safe harbor at Siena College.